I've got another April SOTM / #PICrop card to share today! 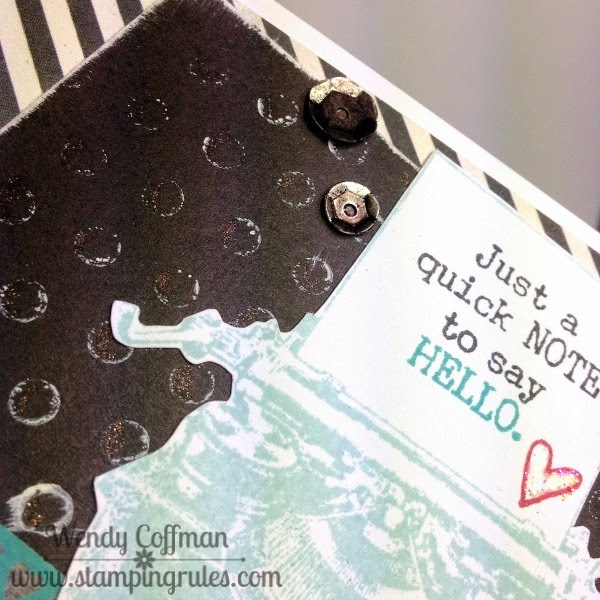 The challenge this time was to use a stenciled background. I used White acrylic paint to make the background. 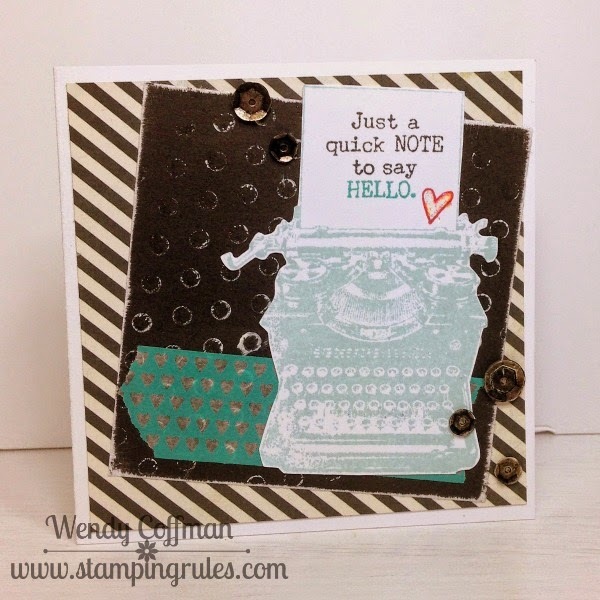 The striped paper is from the Simple Stories Say Cheese II line. I was inspired by the new RetroSketches challenge. I added a swipe of Black Wink of Stella pen to each dot in the background. I sued the same awesome pen to turn super shiny bright silver sequins an aged, glittery black. I think I'm in LOVE! For more April SOTM goodness, check out this month's blog hop!